In this 10-minute podcast, Scott Brown, author of “Active Peace: A Mindful Path to a Nonviolent World“, describes his August 5th Bodhi Center workshop based on the book’s themes and mindfulness practice. With a Masters degree in ecopsychology and transpersonal psychology from Naropa University, Scott Brown has been a visionary peacemaker bridging the divide between psychology and spirituality, the personal and the political, mindfulness and activism. Scott is a leading advocate for bringing the principles and practices of restorative justice to bear on the full range of social issues, and transforming activism into peacemaking. 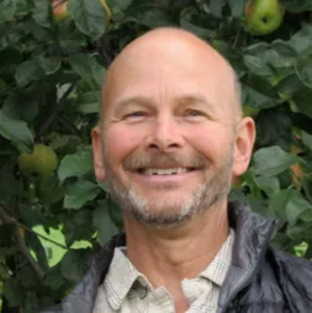 Scott worked for over 15 years on the front lines of environmental activism with organizations including Greenpeace, the Idaho Conservation League and the Canadian Parks and Wilderness Society. He is the founder of Active Peace, LLC and cofounder of the Colorado Center for Restorative Justice. In this Skype interview from his home in Boulder, Scott talks about how he will draw on the themes in his recently published book, Active Peace, to guide participants to deepen their connection to nature, strengthen relationships, expand their capacities as a peacemaker. With rich experiential practices that cultivate clarity, courage, happiness, and resilience, we can innately understand what we need in order to move beyond the separateness that he believes is the root cause of why we do so much violence to ourselves, others, and the earth. The workshop “Creating a Culture of Peace” will be on Friday, August 5th from 6:30-8:45 pm at the Bainbridge Bodhi Center. There is a $15 suggested donation. Visit the Active Peace website. 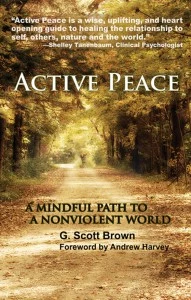 Scott’s book, Active Peace, will be released soon by booksellers.